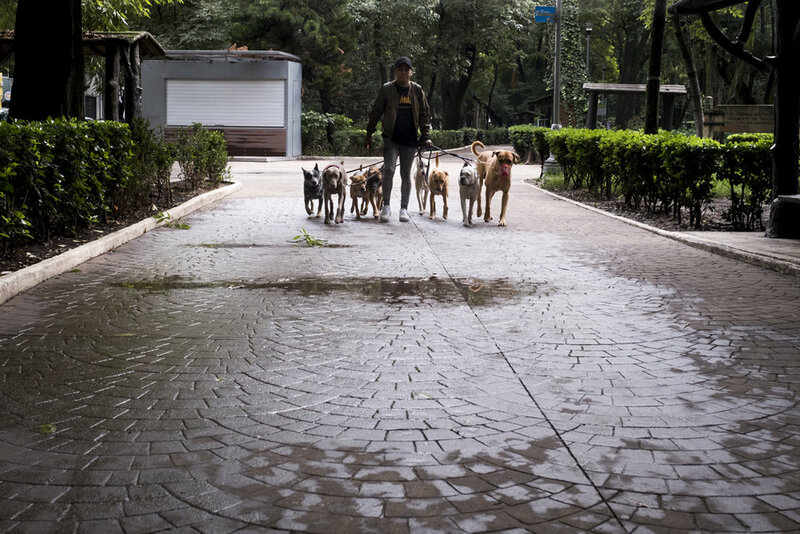 The Paseodores and Entrenadores - dog walkers and trainers - of Mexico City can be seen in many of the affluent neighborhoods during the working week with dozens of dogs of all shapes and sizes in their care. 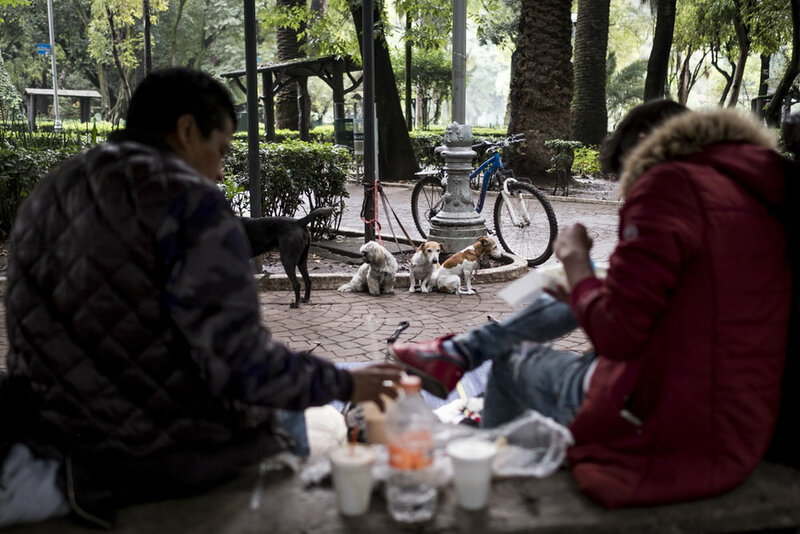 Collected from their homes all over the city each morning by bike, car and van, the dogs sit obediently on blankets, ground sheets or just hard concrete until it’s time to be delivered back to their owners. 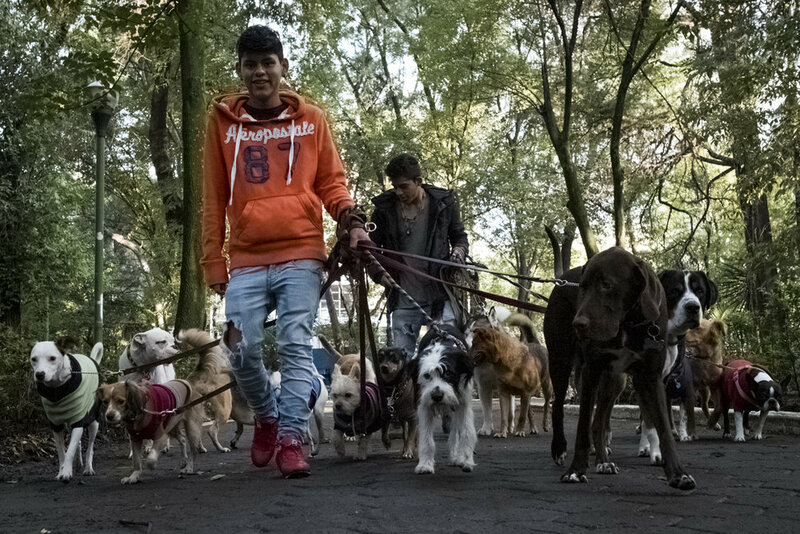 In rotation, groups of dogs are taken for a walk around the neighborhood then returned to their allocated spot on the sidewalk. 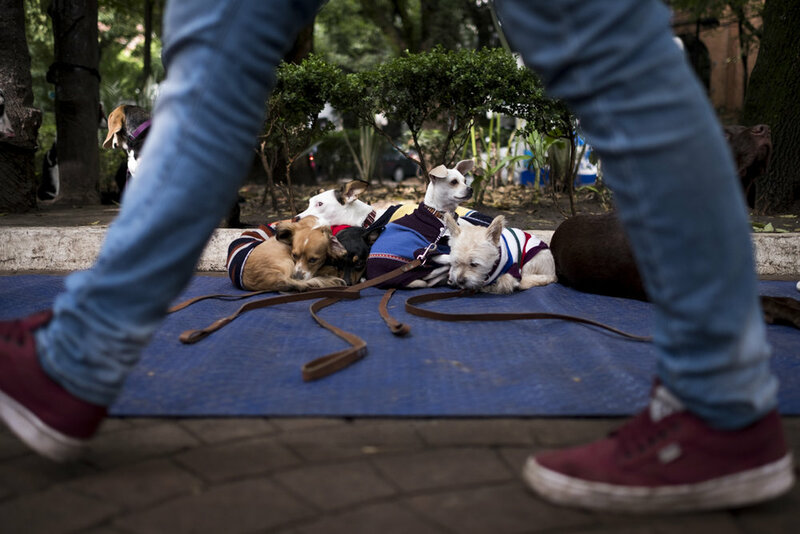 Some of the dogs cower when a trainer comes close, some are scolded for moving, while others sit obediently, if a little bored, until it’s their turn to walk or finally go home. 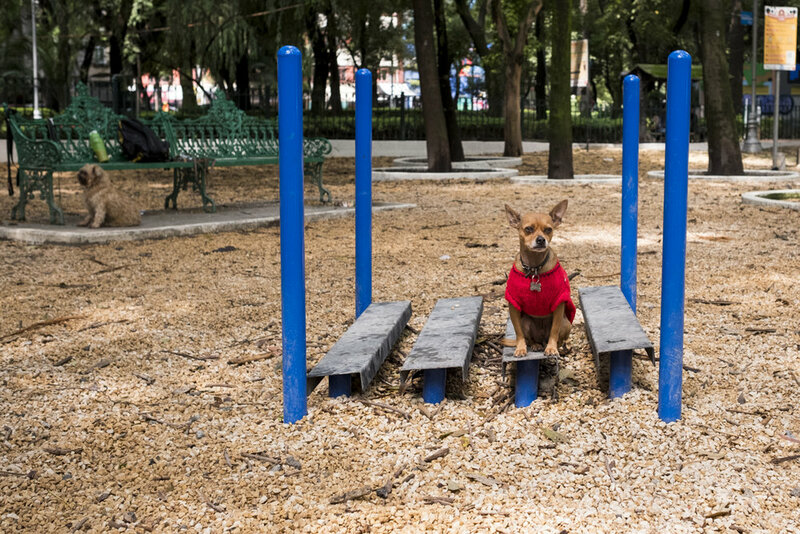 Refreshingly, there’s also a purpose built dog park close by where pet parents also send their dogs for a different kind of day with a different kind of trainer: Here they play all day, socialize, learn pack rules and give and receive lots of love and kisses. Both the canines and their keepers go home happy and invariably a little dirty at the end of the day.